As Seattle grunge scene veterans and drone metal pioneers Earth get ready to play Liverpool’s Kazimier in June, Getintothis’ Amelia Ward prepares to be transfixed. 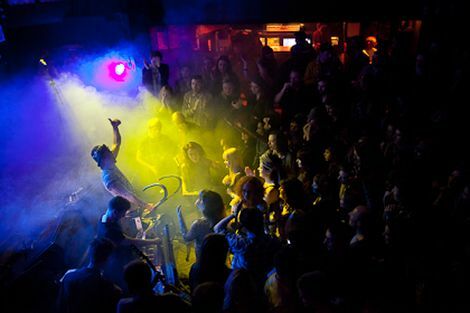 With news of The Kazimier‘s forthcoming closure still sinking in, Earth will play the venue in June as one of only two UK dates. Bringing with them their original and experimental sonics, the band will be looking to build on the back of the success of their 2014 alum Primitive and Deadly. 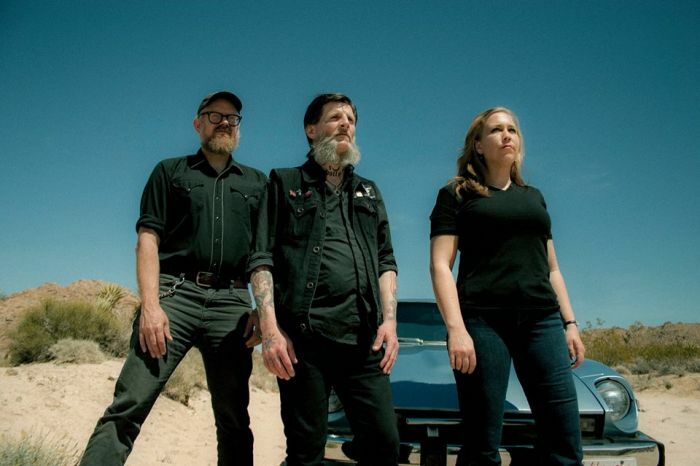 Unassuming founder, Dylan Carlson, better known outside the band for being friends with Kurt Cobain than being frontman to a whole metal subgenre, brings with him the ever-evolving Earth, who as it stands are a trio. Long-term collaborator Adrienne Davies takes to the drums and recently appointed bassist Bill Herzog joins him. From the same rainy Seattle backdrop as The Melvins and, obviously, Nirvana, Carlson reinvented Earth’s sound after his long battle with heroin addiction, as well as legal and personal problems relating to Cobain’s death. After the hiatus that lasted around nine years, Carlson returned with a more country inspired sound with 2005’s Hex; Or Printing in the Infernal Method, and took the band in a new musical direction, while still retaining the fundamental slow tempos and typical song structure of doom metal. Having ranged from the slow, feedback saturated cacophony of first album Earth 2, to the folk inspired, self-confessed “pop structures” of most recent offering Primitive and Deadly, Earth’s live show promises a fulfilling, musical experience. Probably not one for anybody expecting to jump around to any commercially friendly metal, Earth have a tendency to keep all eyes transfixed on them while exploring ominous atmospheric sounds that leave the audience in a reverb-induced stupor. Earth will play the Kazimier on 1st June 2105. Tickets are available here.